Well October flew by way too fast... But hello November! November should hopefully be a good month as I'm going on holiday with Michael and it is my 21st birthday! So crazy!Today I will be sharing with you the products that I have been loving in the month of October. Maybelline Super Stay Nail Varnish, Surreal: I love everything about these nail varnishes, the formula, the brush, the longevity and the shade range. My favourite shade is Surreal, it's a gorgeous lilac with a blue under-tone. Full review here. MAC Russian Red: I am loving red lips lately. It looks super chic and makes you look put together. Russian Red is a cult classic and it's a gorgeous Hollywood red. It doesn't dry the lips out and it stays put for a good few hours. L'Oreal Colour Riche Julianne's Pure Red: Yep, another red lipstick... L'Oreal have done a great job with these lipsticks. They're creamy, matte and come in four gorgeous shades. Julianne's red is a letter box red. I don't own Ruby Woo from MAC but I'm assuming it is probably a creamier dupe. 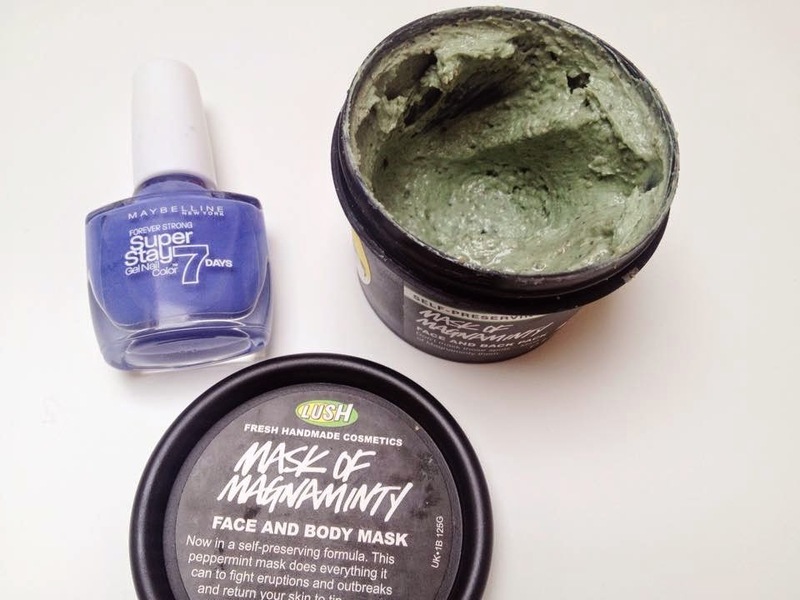 LUSH Mask of Magnaminty: My skin has been having a major breakout (that time of the month, you know...) and the Mask of Magnaminty has been soothing my skin and healing the breakouts quicker. It's a life savour. Full review here.What have been your favourites this month? Great faves Daniella! I really need to try that Lush mask, I've heard a lot of people talk about it and say it's good! I also need Russian Red in my collection! 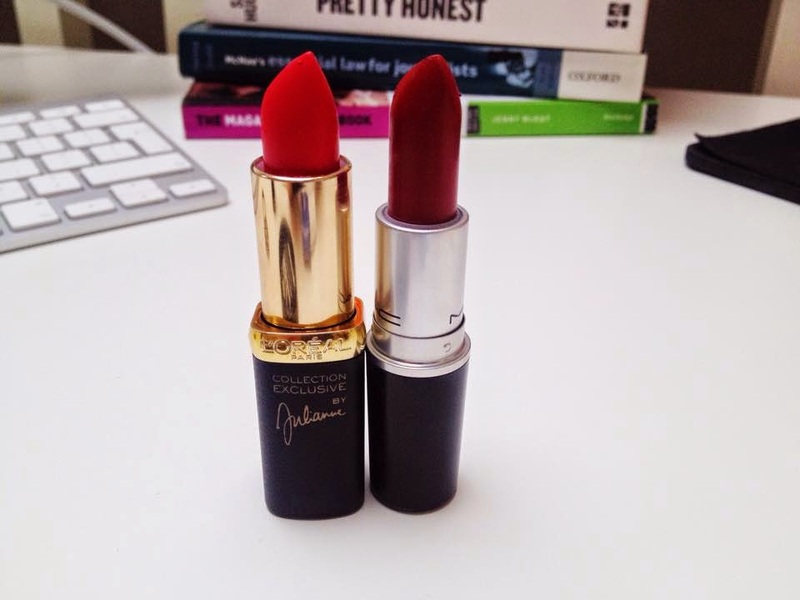 I'm such a MAC lover but I don't usually venture into the reds. This looks gorgeous though! Russian Red is one of my favorite reds, it's perfect! I love mask of magnaminty! 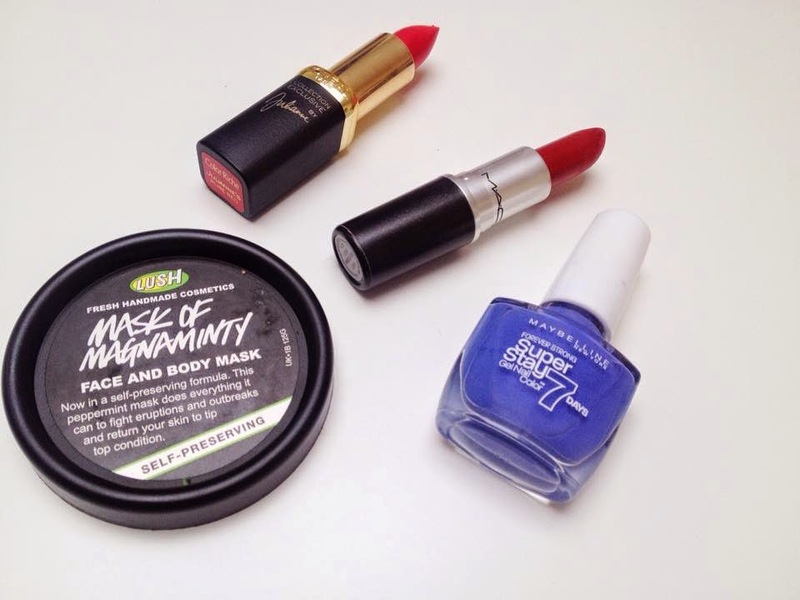 Such a good mask :) and the loreal reds looks so good but not keen on the scent!